Made from 100% Baby Alpaca Fur stuffed with hypoallergenic material. Soak in cold water and allow to air dry if bear becomes soiled. 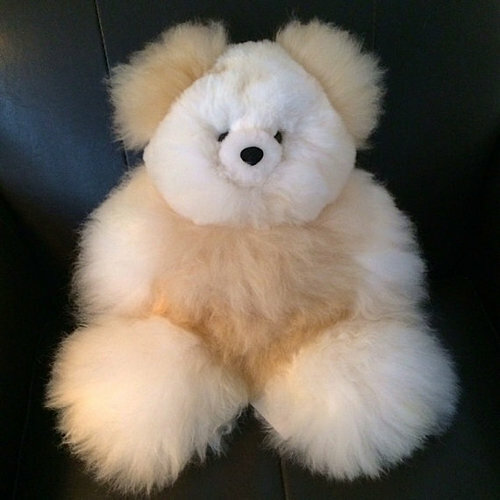 This handmade bear is made from 100% baby alpaca fur and is stuffed with hypoallergenic materials. 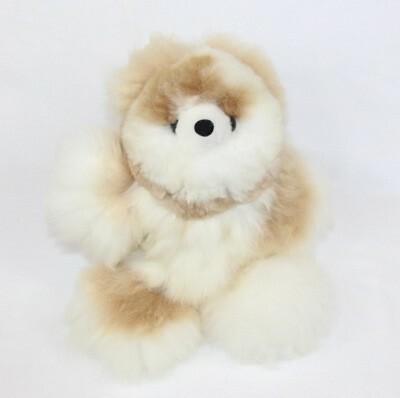 It is durable enough for children to play with it and is so soft and fuzzy that it will become their best friend. Each bear is unique since they are handmade so no two are alike. No alpacas were harmed to make these bears.